This prestigious royal monument is known to be the tallest palace of old currently in existence in the world today. It measure about 3800 meters in height above the seal level and about 100 meters higher than the famous Lhasa city. The Potala Palace was built in 1645 by the 5th Dalai Lama to serve as the base of control for the Tibetan government. The palace consists of about 13 stories built with 3 meter thick stone walls and houses more than a thousand rooms, spanning 13 hectares. 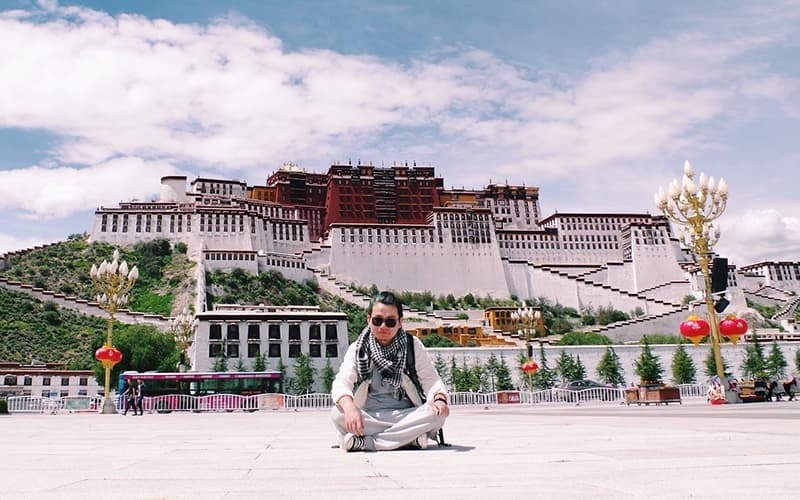 The Potala Palace which has been in existence for over a thousand years serves as point of reference to the people of Tibet and preserves their cultural history and beliefs. The palace plays homage to multitude of pilgrims who troop in from different locations worldwide yearly to marvel at its architectural master piece and heritage. 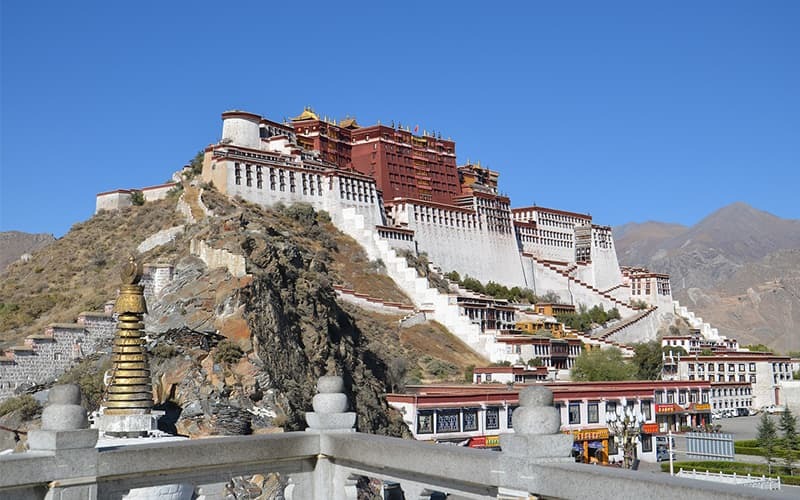 The Potala Palace is generally divided into two distinct parts; the White and the Red Palace. The palace houses one of the most beautiful murals in the world which not only beautiful but also convey the story of the Tibetan culture. Home to 10 consecutive Dalai Lamas including their followers and associates, the White Palace also housed the governmental assembly, official offices and also the Tibetan government offices. It was developed as a gift from the King at the time, Songtsan Gampo to his wife-to-be in 637AD. However, the palace was destroyed sometime in the ninth century. 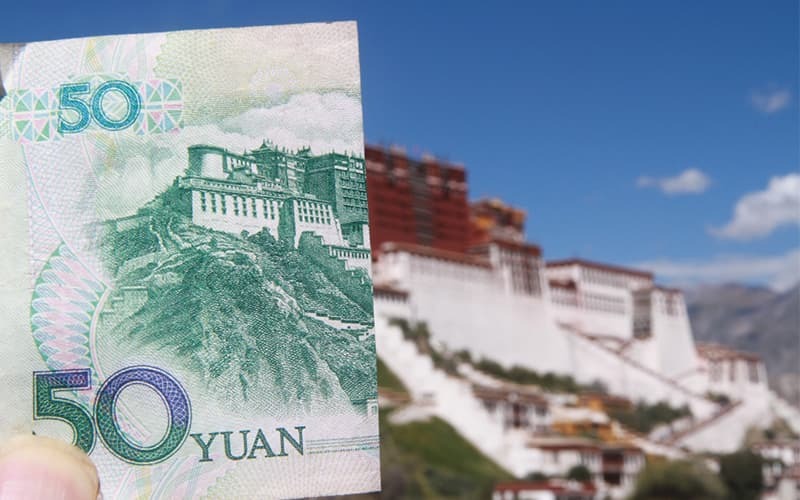 The current White Palace was built by the 5th Dalai Lama and as a result the palace recognizes him a lot more than the preceding and succeeding Dalai Lamas. After building Norbulingka in mid-1700, it served as home to the inhabitants of the Dalai Lama in the summer, while the White Palace then became the winter estate for the Buddhist saint. Another magnificent sight to behold is the group of golden roots which sit on top the Red Palace. The taller of the two palaces, the Red Palace comprises of different chapels which served as prayer houses for the Dalai Lamas. This area of the Palace was specifically reserved for the study and advancement of the Buddhist religion. Enclosed inside the Red Palace are different mausoleums belonging to Dalai Lamas of the past, with each built as a mark of honor and respect to each Dalai Lama. The mausoleum built to represent the 5th Dalai Lama situated on the west wing of the palace is commonly referred to as the Potala's patron is about 5 stories and is covered with pearls, diamonds, gold, and several other precious stones symbolizes the utmost respect and honor revered for this particular Buddhist saint. 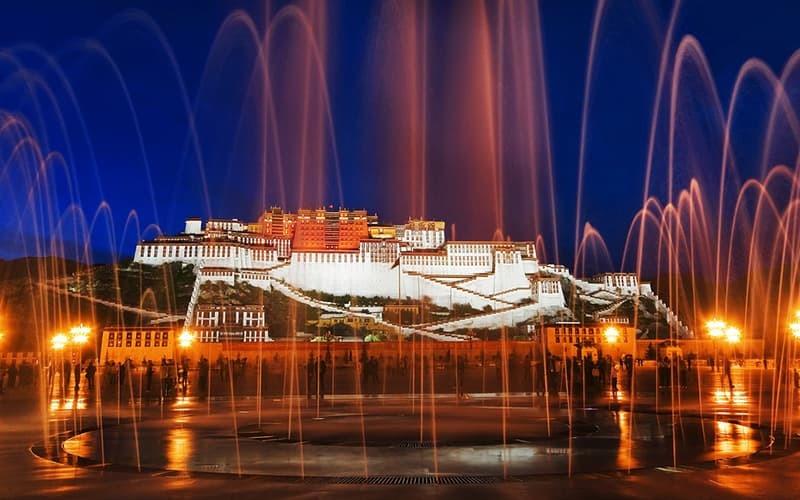 Picture: Potala Palace at night. Inside the four walls of this architectural masterpiece are artifacts and articles that chronicle the rich Tibetan culture, religion, and history. Inside the palace are murals, antiques, and statues of Buddha most of which are several years old. These artifacts depict several stories of the Dalai Lamas, the diverse customs, traditions and history of the people of Tibet which is highly revered in India. A particular instance is the frescoes wall that chronicles the works and life of the 5th Dalai Lama. Inside the palace are other spectacular work of art like sculptures, Tibetan paintings and ornate statues. Any tourist visiting the palace should as a must visit the Sasong Langjie, which is the topmost hall amongst all the ornate decors located inside the Potala Palace. Built in the late 1670s, the hall houses a painting of the Qing, Emperor Qianlong with the words “A long, long life to the present emperor” inscribed in Manchu, Mongol, Tibetan and Han languages on it. It is in this palace the Dalai Lamas visit annual on the Tibetan New Year to seek for direction and guidance for the people of Tibet. The golden roof group offers a distinct view of the entire palace. Located on top of the Red Palace, the golden roof comprises of 7 different roots which are made of bronze. Adorning each golden roof are a couple of flower-and-bell shaped spires that double as lightning conductors. The view from the top of the roof is lovely, you get to see the entire city with white clouds and blue skies above you. The best way to really appreciate the view of this amazing master piece is to take a look at the palace from a distance. From the east and west of the building where you have the Jokhang Temple and Chakpori offer the best view. Our tour guides are available to show you the best scene to take amazing photographs. Lhasa is situated in a small town with plain topography and mild climate (winter isn't extremely cold neither is summer extremely hot). Due to the fact that the city has a very high-altitude, the air is quite thin, and the temperature could vary several times in a day. The mean annual temperature of the city is around 8 ℃. There is enough sunshine throughout the year, with total annual sunshine put at about three thousand hours. Due to ultraviolet radiation is quite easy to acquire sunburns while residing in Tibet, ensure you come along with your sun cream, sunglasses and umbrella or hat. Temperatures typically drop immediately after sunset. As a result of the fluctuating weather conditions, it is important you come with different kinds of clothing. The most ideal time for visiting Tibet is from April to October, and the peak period begins in May and end in September. Tibet is not a regular place for most traveller, expecially for the first China tour. It has a lot risks and difficulties to reach there. We offer you all-inclusive travel service and the best experience in Tibet. You can also include Beijing in your tour. See the following tour for ideas.